Dorking is now open - hours may be variable whilst we do the finishing touches so please ring 01306 304007 before making a special trip. 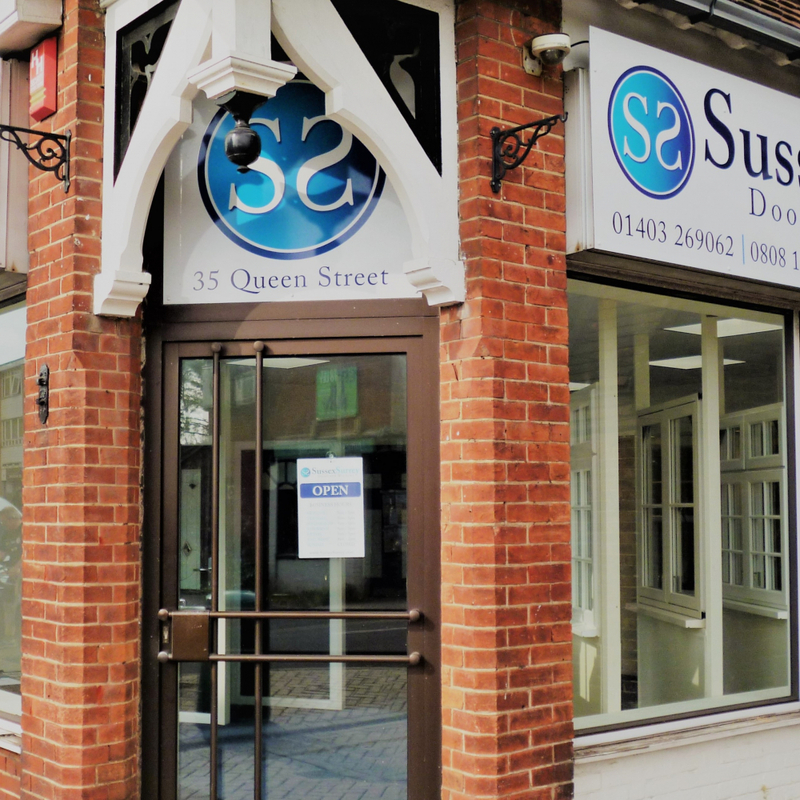 Our Horsham showroom is open as usual. 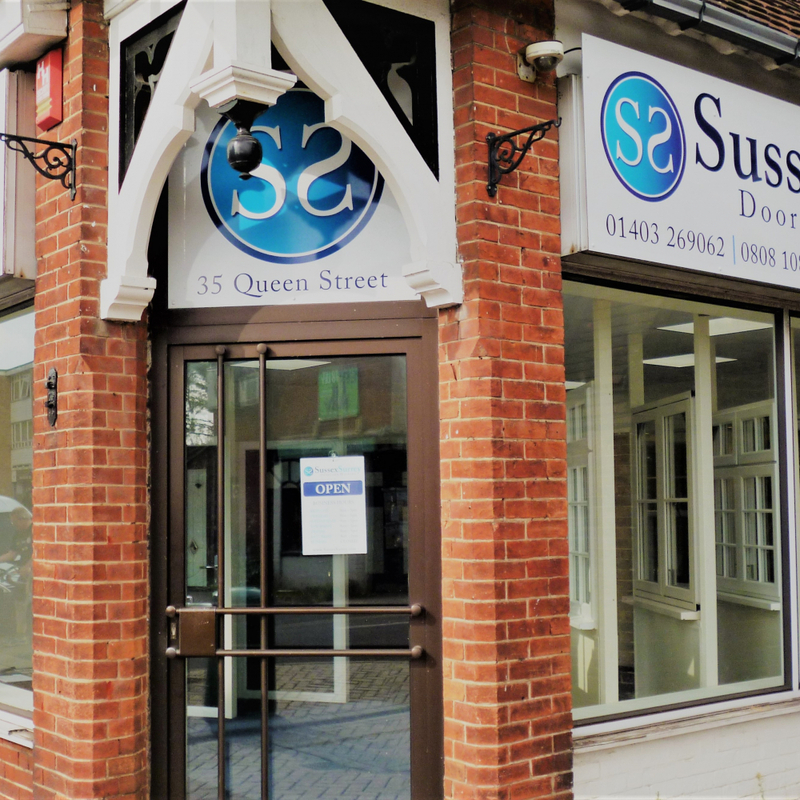 SussexSurrey Doors and Windows Ltd are the premier replacement door and window installer in the local area. With over thirty years in the industry, our owner-Director and his dedicated team have one objective: To offer the highest quality products and exceptional customer service, with honesty and integrity, all at a fair price. 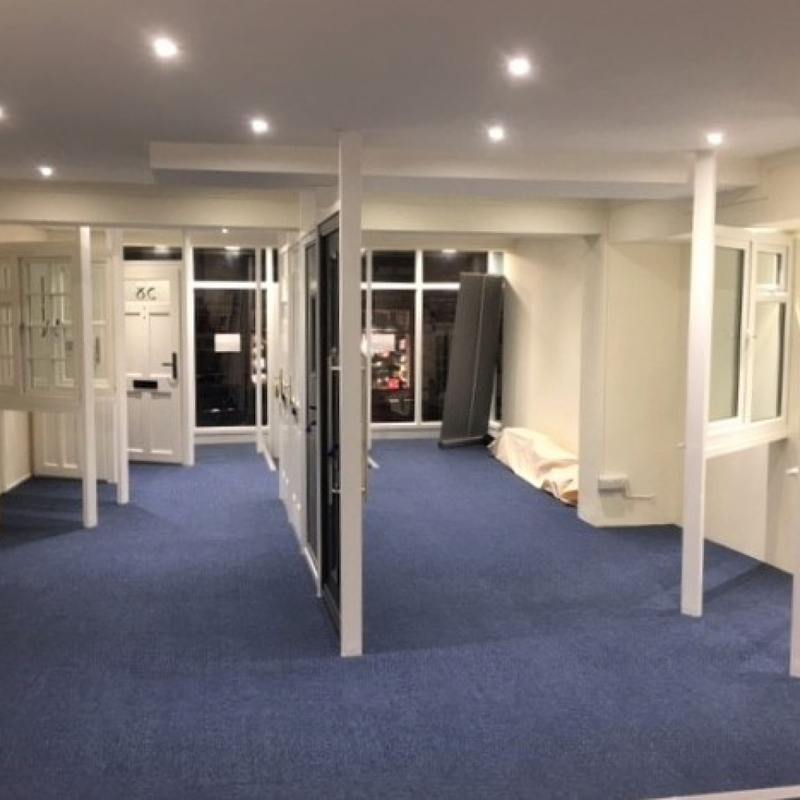 Whether you would like a single window, a new front door or an entire house of doors and windows, you will receive the same personal care and attention to detail with a product to suit you, your budget and your home. 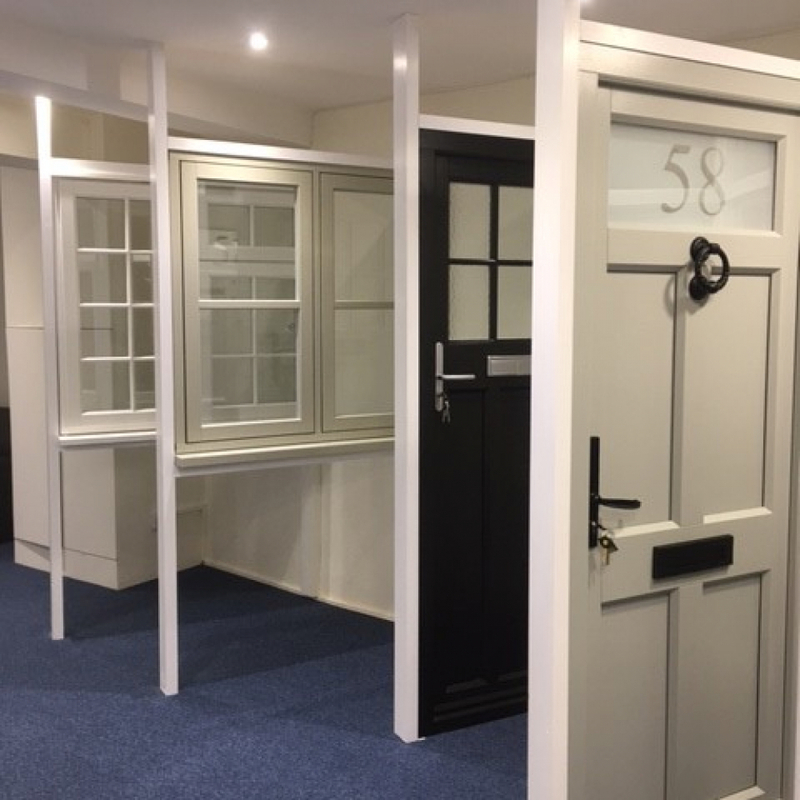 Everything is made to measure, from a wide choice of colour and finish, hardware and glazing, all of which combines to offer an end product that is personal to you. Working with industry leading manufacturers, you can be sure that you will receive a high-quality product that will look good for many years. 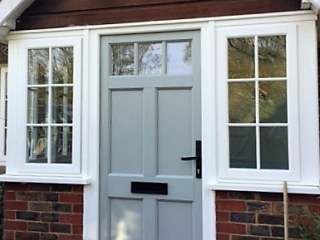 Our range of GRP composite doors and timber-alternative doors are A-rated for energy efficiency, meeting the latest energy efficiency regulations and are installed within a reinforced frame and secured with multi-point locking, hooks and a deadbolt, meeting the latest standards and legislation. Our PVCu windows exceed all current regulations in the UK for window energy efficiency with window energy ratings of up to A++. 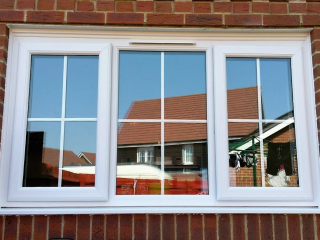 Our range of timber alternative windows have A+ rated glazing as standard, multi-point shoot bolt security locks with security bolts and claws fitted to the frame. 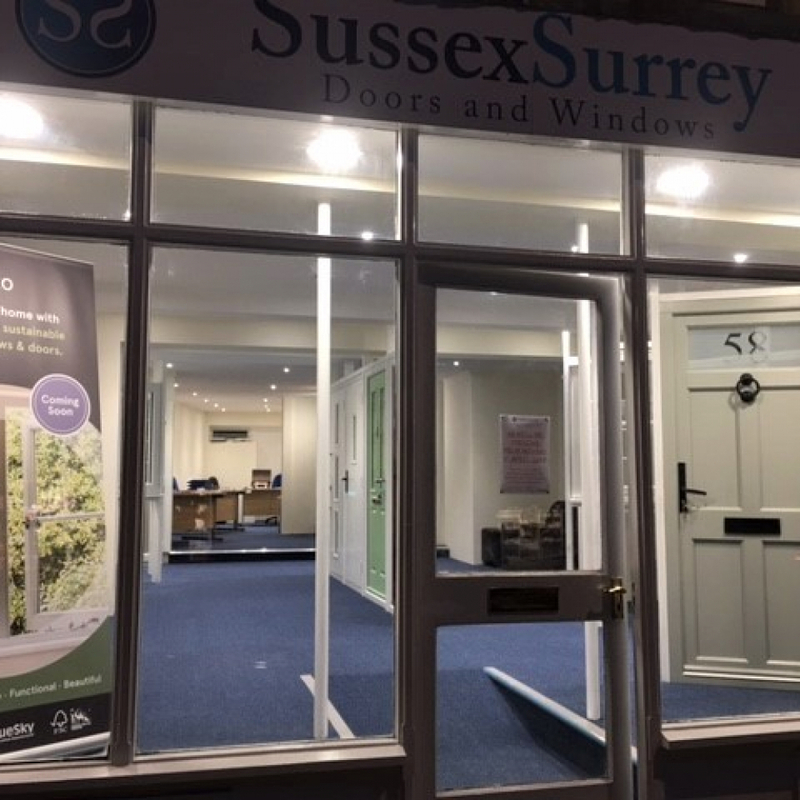 Come and see the products on display in our showroom on East Street in Horsham or at High Street in Dorking, where there will be a friendly welcome. 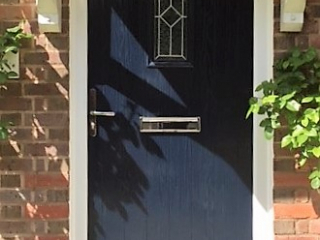 Modern composite doors constructed from the very latest materials are the perfect stylish, secure and low maintenance choice for all styles of property. Combining superb aesthetics with unrivalled long-life performance, superior weather tightness, secure locking systems and greater thermal efficiency, your home is fully protected with a modern entrance door. Choose from traditional or contemporary designs to suit your personal taste and your home. 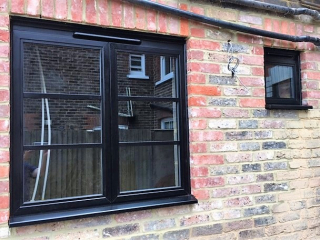 Our range of PVC-U windows from Emplas are manufactured by the UK's leading Profile 22 Optima system and constructed from high-grade quality PVCu. 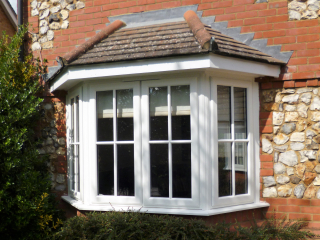 Choose from a chamfered or sculptured frame, with various glazing options. The glass units use smart low-e-coatings and are up to A++ rated for energy efficiency. 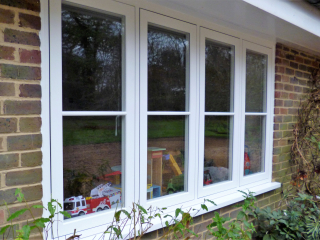 Fully compliant with all the latest building regulations these windows feature the latest innovation in attack resistant and robust PVC-U frames and hardware. Our replacement sash windows not only transform your period or modern property but also provide exceptional performance, whilst retaining the proprtion and elegance of traditional wooden sash windows. 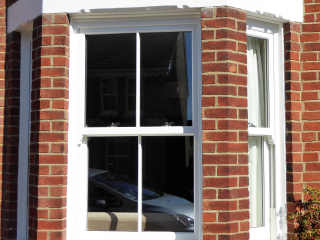 Custom made to your specification, these windows need considerably less upkeep than a traditional timber sash window. This is a modern high performance window that looks every bit as good as an original timber sash window. 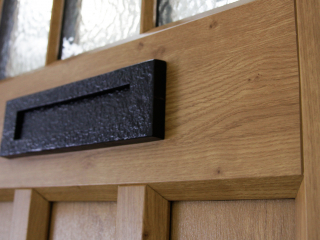 The English Door Company use the very latest modern materials, combined with state-of-the-art technology and age-old hand crafted joinery techniques to produce a truly exceptional finish. 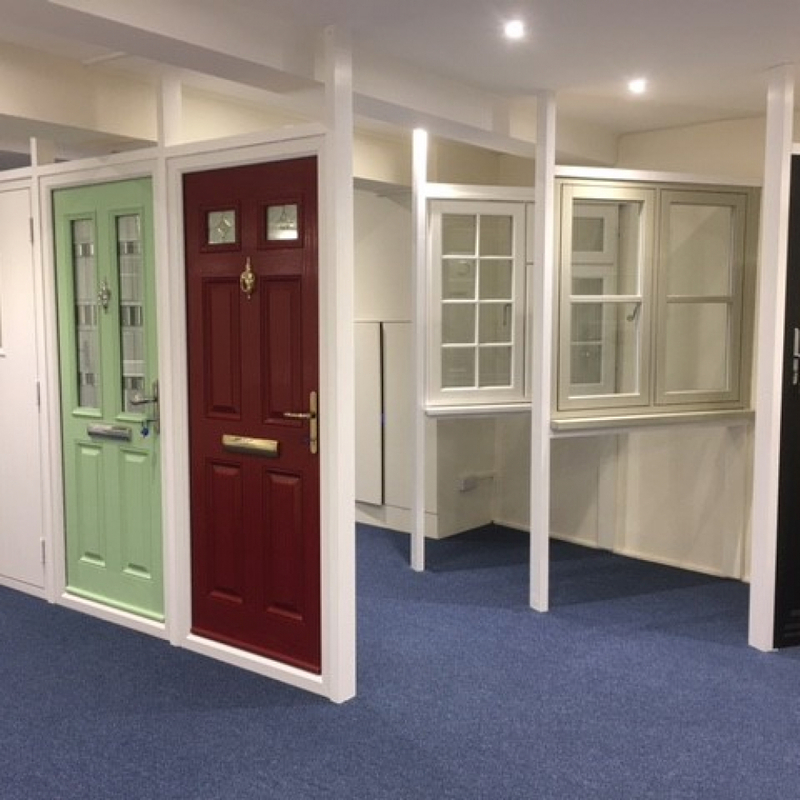 Every door is unique and made to your exact requirements from the design, colour and glazing down to the detail of the door furniture, you can achieve the look of a traditional timber product but without the time consuming upkeep. Timber Alternative windows are a blend of modern design technology and traditional styling, with the aesthetic of timber. Each window is designed and manufactured in the UK and hand finished by a team of highly skilled and experienced craftspeople, producing an end product that is unrivalled for energy efficiency. This is a prestige product that will enhance both traditional period properties and more modern homes. 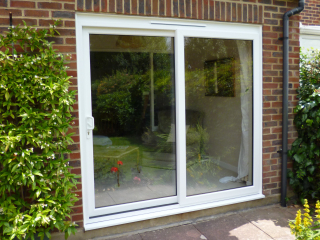 The perfect link to the outside world, French doors provide a flexible choice for a wider opening. 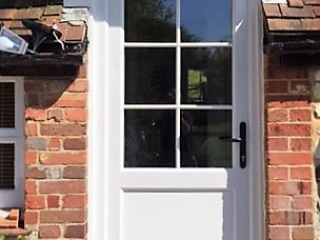 Even when closed, these doors allow the maximum amount of light into your home and are a very popular choice. Choose from the more traditional sculptured frame or the more contemporary chamfered frame. Internally beaded for security, steel reinforced where appropriate, and fitted with multi-point locking systems for all important peace of mind. Panoramic bi-folding doors from Sternfenster will transform your home and add a touch of elegance and finesse. These beautifully designed doors come into their own for wide openings, potentially opening up an entire wall to the garden and beyond and have a polyamide thermal barrier to reduce heat loss. Available in an array of different options and finishes, in either aluminium or PVC-U and with a choice of opening configurations to suit your home. 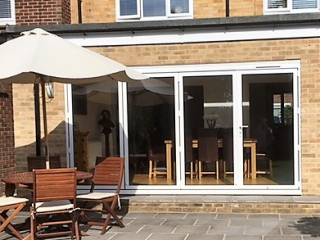 A PatioMaster door, manufactured with slim frames to maximise the glass area, will flood your room with light. Choose from a simple and elegant 2-pane design up to a whole wall of glass with flexibility about which panes you wish to slide. Made-to-measure in a sculptured or bevelled sash in a variety of colours or woodgrain finishes. 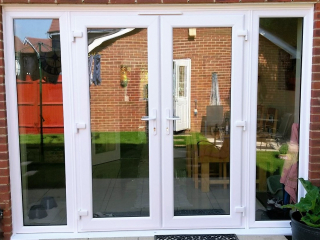 These doors are manufactured with thermally efficient multi-chamber PVC-U frames and will add a new dimension to your home. PVC-U residential doors for your kitchen, utility or garage access, are available in a wide range of colours, woodgrain finishes and hardware designs, with or without a catflap. The top panel can be clear glazed or obsure glass, with or without Georgian astragal bars, or you may choose to have no glazing at all. Timber windows from Bereco are high quality, with superior perfomance and are manufactured using 100% FSC timber. Available in contemporary, traditional, heritage and creative styles, every window is designed with the highest security and weather performance. Bay windows are a feature of many properties in the area and are available in all our window ranges. 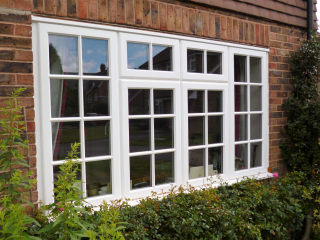 Choose from sash, casement or French style windows to match the other windows in your home. 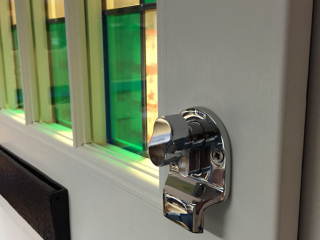 As with all our windows, there is a wide choice of colour, woodgrain finish and handles.